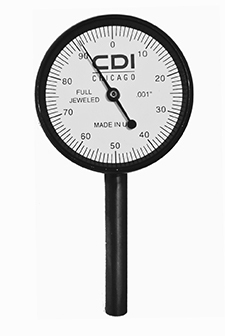 Chicago Dial Indicator Co. offers a full line of dial indicators and accessories to expand their usefulness. 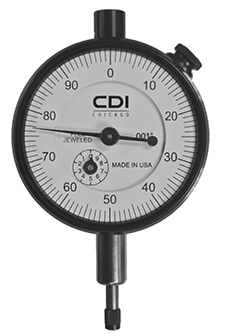 The advanced, simplified design of these gages is based on over 85 years of experience in manufacturing dial indicators which are well known for their accuracy, sensitivity, trouble-free long life, and ease of operation. 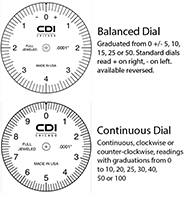 Two types of dials are offered in all models: Balanced dials with plus and minus readings for comparative work and continuous dials for direct measurement of length and depth. 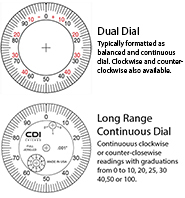 Long-range continuous dial indicators have single or dual revolution counter hands to facilitate reading. 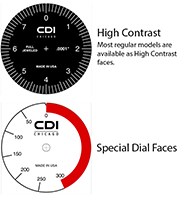 CDI can furnish special dials to fit your specifications. Price on application. 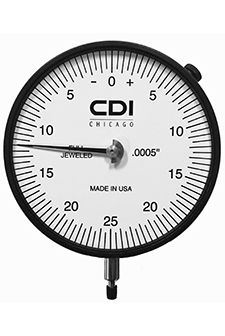 CDI dial indicators are built to provide precise measurement with graduations of .0001", .00025", .0005", .001" and .010" (0.002mm, 0.005mm to 0.01mm). 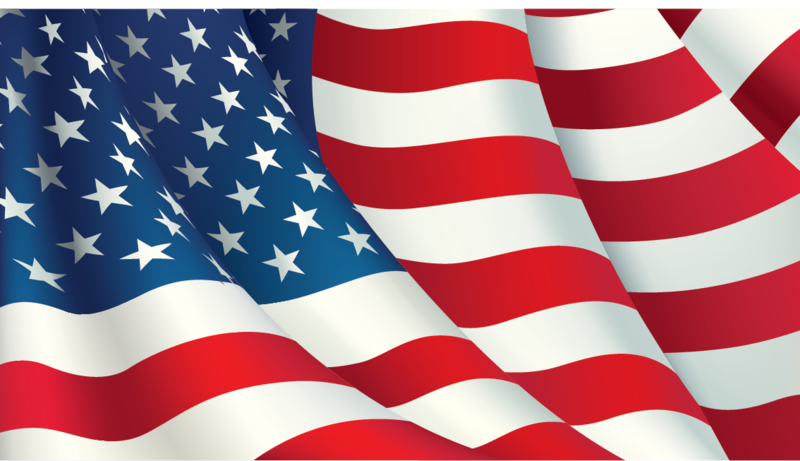 Total range of travel is .020" to 5" or 0.5mm to 50mm. 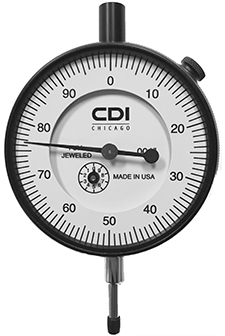 All CDI dial indicators are available with fully jeweled movements. Sapphire bearings mount directly into upper and lower plates with no auxiliary bushings, reducing the possibility of misalignment. Highly polished jewels have an olive hole design which, together with CDI hardened and burnished pivots, provide lowest possible bearing friction and maximum resistance to wear. Jeweled bearing movements are recommended for heavy use applications and whenever extremely high sensitivity is required.